The start of a new year; humankind’s somewhat artificially designated, but universally accepted method of keeping time, represents a new beginning for most of us. I like it for the same reason I used to like opening a brand new composition book for the first time. Back then, I had the feeling anything was possible – I was presented with a blank page, ready and waiting for input and influence, with some gentle blue lines available for guidance if I chose. Suffice it to say, I take New Year’s seriously. This New Year transition feels particularly exciting and full of potential. Maybe it is because 2009 was such an odd year for our country, or simply because, this morning, we entered double digits for the first time this century. 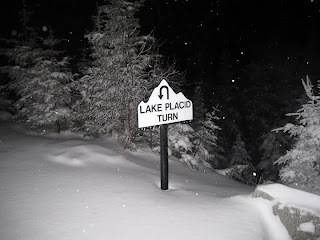 For whatever reason, I simply had to welcome 2010 in an awesome Adirondack way. 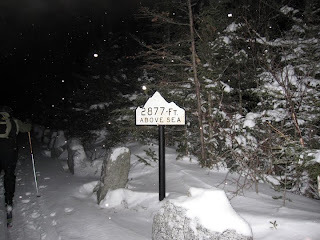 To that end, Ed and I skied up to top of Whiteface Mountain, via the Toll Road, last night in time to welcome 2010. Although it was indeed a full, blue moon, the skies were mostly cloudy and snowy, with just a few peeks of moonlight between what were mostly whiteout conditions. I’ve always wanted to be at the top of Whiteface to welcome in a New Year and this seemed like the right year to do it. The New Year fell on a full moon, no sustained winds were in the forecast, and the temperatures were moderate; 25 degrees when we left the homestead at 7:45 p.m. It was a great outing and something I highly recommend if you ever feel like you’d like to “go out to the mountain and find a little peace.” We encountered just three other people early in the excursion who were skiing down as we skied up. Ed and I were the only people on Whiteface Mountain at midnight last night so it was indeed quite peaceful. 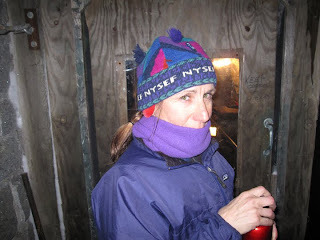 The ski was a wonderful Adirondack way to welcome the New Year and the decade. 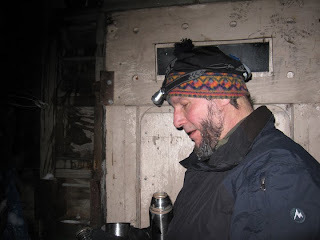 If you go at this time of year, in the dark, you should be prepared for mountaineering conditions: glare ice, breakable crust, drifting and irregular snow, and do not count on the tunnel for warmth. The inner door was frozen shut last night. 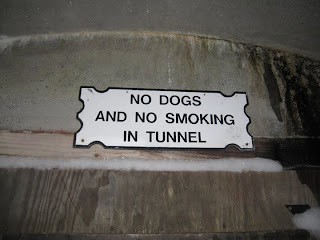 But it was a great time. Happy New Year from the Adirondacks! 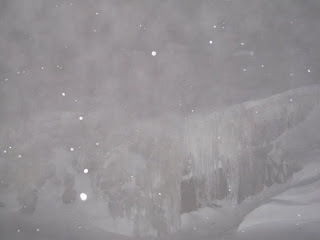 As you can see, conditions at the beginning of the climb seemed rather benign, but changed a tad as we gained altitude.